Palestinian medical sources have reported that two Palestinian women and two children have been killed on Wednesday evening, when Israeli soldiers fired missiles into Rafah and Khan Younis, in southern Gaza, and Jabalia, in the northern part of the coastal region. A journalist was killed in central Gaza. The Palestinian News & Info Agency (WAFA) said a woman, identified as Salmiyya al-‘Arja, 53, was killed and at least eight Palestinians were injured, in Rafah, in the southern part of the Gaza Strip. Three more Palestinians have been injured when the army bombarded a home in Abasan town, east of Khan Younis. They were moved to Nasser Hospital in Khan Younis. 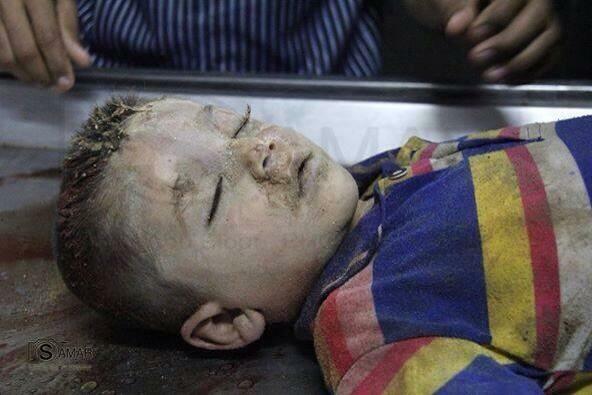 Another child, only two years of age, was killed when the army bombarded Jabalia, in northern Gaza. An Israeli missile, fired into Gaza city, has also wounded three Palestinian medics, medical sources said. In Gaza city. At least twenty Palestinians have been injured in a number of Israeli strikes targeting different parts of the Gaza Strip. In addition, one woman, identified as Amal and Nariman Abdul-Ghafour, has been killed when an Israeli missile struck her home in the al-Qarara town, in Khan Younis. A child, identified as Mohammad Arif, 13, was killed in an Israeli bombardment targeting the Shaghaf area, in Gaza city. Moreover, a journalist identified as Hamed Shehab, was killed when the army fired a missile at a vehicle transporting reporters in the center of Gaza City. Five Palestinians of the Nawasra family have also been killed, in the al-Maghazi refugee camp. Initial reports also indicate that two Palestinian fighters have been killed while trying to infiltrate, via the sea, the Zikim military base and settlement, across the border with Gaza. On Tuesday, the army said it foiled a similar attempt, and killed four fighters. Israeli sources said three Israelis have been killed in Keryat Malachi settlement, and five were injured in Haifa, by shells fired from Gaza. Khaled al-Batsh, a senior political leader of the Islamic Jihad, stated that the al-Quds Brigades, the armed wing of the Islamic Jihad, has decided to strike Tel Aviv “because Tel Aviv is not more precious than Gaza, Rafah or Beit Lahia, under constant Israeli shelling and bombardment”. 3. Nariman Abdul-Ghafour, Khan Younis. 6. Abdul-Nasser Abu Kweik, 60. 7. Khaled Abu Kweik, 31. 9. Mohammad Malika, 18 months. 10. Amna Malika (Mohammad’s Mother), 27. 13. Sahar Hamdan (al-Masry), 40. 15. Mohammad Khalaf Nawasra, 4. 16. Nidal Khalaf Nawasra, child. Five Palestinians have been killed on Wednesday evening, during Israel's ongoing airstrikes on northern and southern Gaza, bringing the total number of deaths in Gaza to 53. Ma'an News Agency has reported that a house belonging to the Hamad family was recently targeted by Israeli forces, in Beit Hanoun, killing Hani Saleh Hamad, age 57, and Ibrahim Hamad, 20. Five members of the same family were killed, late Tuesday, as Israeli warplanes bombed the home of one Hafiz Hamad, senior member of the Islamic Jihad, in the same area. In Rafah, another airstrike killed Samia al-Arja, 65, in addition to an unidentified child who later died from injuries resulting from the strike. According to the Gaza Ministry of Health, the latest string of Israeli assaults in the region bring the total number of deaths in Gaza to at least 53. Other reports cite larger numbers. Over 450 Palestinians have been reported injured in the attacks. Palestinian President Mahmoud Abbas has accused Israel of committing genocide. Two Palestinian mothers and their little children, along with a number of Palestinian civilians, were killed in a barrage of Israeli air raids that rocked civilians’ homes in al-Qarara town, northeast of Khan Younis, and al-Breij refugee camp in central Gaza. Palestinian medics told the PIC correspondent that Palestinian lady Amal Youssef Abd al-Ghafour, 33, and her one-year-old baby Ranin Jawdat Abd al-Ghafour were killed in the strike while the father, along with another women, were left severely wounded in the process. Meanwhile 5 Palestinian homes, at least, have been reduced to rubble in the area. In a related event Wednesday afternoon, 3 Palestinian citizens, all members of the Nawasra family, were killed in an Israeli airstrike that hit civilians’ homes in al-Breij refugee camp. Ashraf al-Qudra, the health ministry spokesman, said the casualties were a Palestinian mother and her two children, whose body remains were taken to al-Aqsa Martyrs hospital in Gaza. He added that the father Khalaf al-Nawasra, 29, and Meriam al-Nawasra, 83, sustained severe wounds while two more citizens have been missing so far. An Israeli airstrike on the al-Maghazi refugee camp killed a family of three on Wednesday, with another two children reported missing, as the death toll from Israel's assault on Gaza reaches 38. Muhammad Khalaf al-Nawasrah, 4, toddler Nidal Khalaf al-Nawasrah, and their mother Sumud al-Nawasrah were killed when an Israeli missile hit their home in central Gaza. Two other children are reported missing, with their bodies believed to be buried under rubble. Earlier, twelve Palestinians were killed in Israeli airstrikes on the Gaza Strip. An airstrike in Beit Hanoun in the northern Gaza Strip killed 40-year-old Sahar Hamdan al-Masri and her teenage son 14-year-old Ibrahim. Shortly before that, an Israeli airstrike killed 22-year-old Muhammad Khalid al-Nimrah in the Sabra neighborhood of Gaza City. Earlier Wednesday, Muhammad Malaka, one-and-a-half, and his 27-year-old mother Aminah Malak were killed along with a young man, Hatim Abu Salim, by an Israeli airstrike on a house in the Zaytoun neighborhood of Gaza City. Earlier, Israeli airstrikes on central Gaza killed three people, among them an elderly woman, a health ministry spokesman said. Ashraf al-Qidra said 60-year-old Abd al-Nasser Abu Kweik and his 31-year-old son Khaled were killed in a strike on Nuseirat refugee camp. Additionally, an airstrike hit al-Mughraqa village in central Gaza, killing 80-year-old Nayfa Farajallah. Before that, a Palestinian man was killed and another was injured by an Israeli airstrike on a motorcycle in the northern Gaza Strip. Al-Qidra said 30-year-old Rafiq al-Kafarna was killed as Israeli warplanes targeted his motorcycle in Beit Lahiya. Another man sustained critical injuries and was taken to Kamal Udwan Hospital, al-Qidra said. 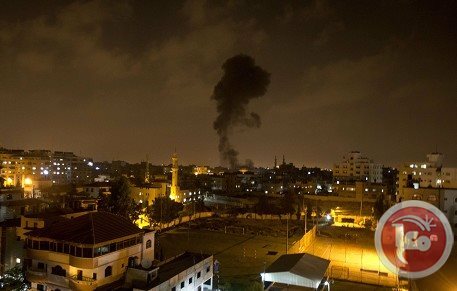 An Israeli army statement said earlier that the air force carried out strikes on some 160 targets in the Gaza Strip overnight. Israeli airstrikes killed 24 Palestinians, most of them civilians, on Tuesday and early Wednesday. Israel has dubbed its air campaign on Gaza "Operation Protective Edge," saying the offensive comes in response to heavy rocket fire from Gaza's militant groups. A wave of Israeli raids north of the Gaza Strip left a Palestinian mother and her two children, along with two more Palestinian youths, dead Wednesday afternoon. PIC correspondent quoted Ashraf al-Qudra, spokesperson for the Health Ministry, as identifying the casualties as Muhammad Malaka, one-and-a-half-year-old, and his mother Emna Malaka, 27. 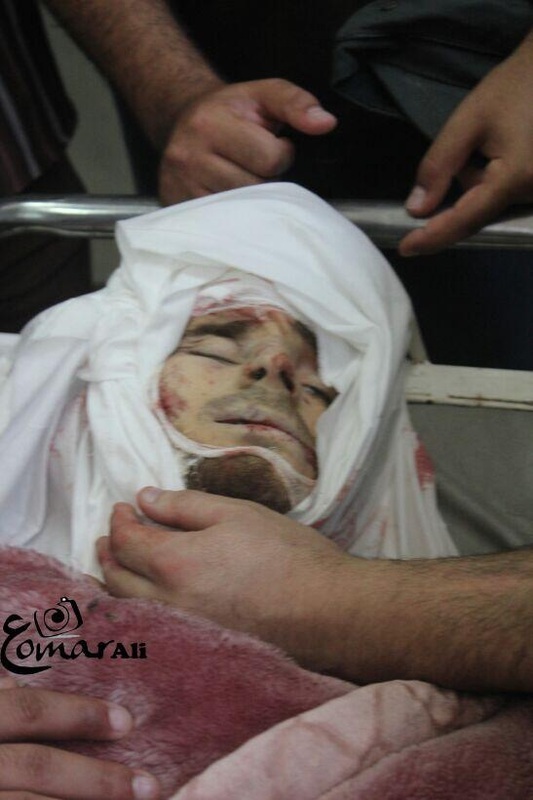 PIC correspondent further documented the death of Gazan youths Hatem Abu Salem and 22-year-old Muhammad Khaled al-Namra. The death toll of Palestinian civilians has gone up to 35 so far, all killed in the wave of Israeli raids targeting Gazan civilians and homes since dawn Tuesday. Hamas has categorically denounced, in a statement delivered by its spokesperson Sami Abu Zuhri, such a frenzied escalation in Israeli aggressions against the Strip, saying the campaign took away the lives of innocent civilians and destroyed dozens of homes. “Israel has crossed all redlines and it shall pay a heavy price soon,” Hamas warned. The Gaza health ministry has released the names and ages of 35 Palestinians killed so far in the besieged strip since Israel began its relentless assault early Tuesday. Among those killed, 10 were aged 16 or younger. The youngest victim, 18-month-old Mohammed Malakiyeh, was killed along with his 27-year-old mother. The oldest victim, 80-year-old Naifeh Farjallah, was killed in an air strike on the town of Moghraqa, southwest of Gaza City. The single deadliest strike killed eight people Tuesday in southern Gaza when Israel bombed the Hamad family home. 28. Amir Areef, 13, died in a bombing in Sha’af. 29. 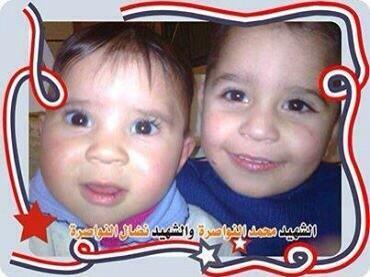 Mohammed Malkiyeh, one and a half years old, died in a bombing along with his mother and a young man. 30. Amniyeh Malkiyeh, 27, Mohammed Malkiyeh’s mother, died in the same bombing. 31. Hatem Abu Salem, 28, died in the same bombing. 33. Sahar Hamdan, 40, died in the bombing of her home in Beit Hanoun. 34. Ibrahim Masri, 14, Sahar Hamdan’s son, was killed in the same bombing. Israeli warplanes bombed the home of a senior Islamic Jihad militant early Tuesday, killing him and five members of his family in an attack on the family's home, medics said. 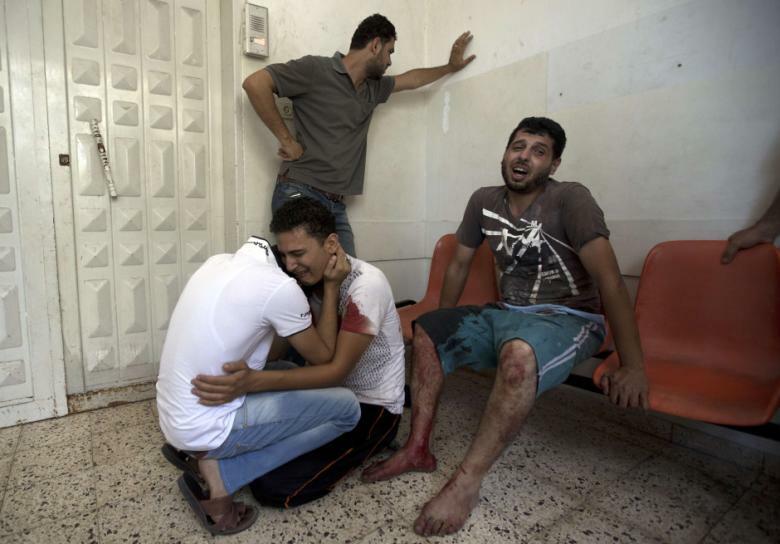 A Gaza health ministry spokesman said the attack killed Hafiz Hamad and five members of his family. Ashraf al-Qidra, spokesman for the Ministry of Health, confirmed the deaths of six relatives in the attack on the Hamad family home in Beit Hanoun in the northern Gaza Strip. He identified them as Hafiz Mohammed Hamad, 30, Ibrahim Mamedhmed, 26, Mahdi Mohammed Hamad, 46, Fawzia Khalil Hamad, 62, Mehdi Hamad, 16, and Suha Hamad 25. Israel's military did not immediately respond to calls seeking comment early Tuesday. Also early Tuesday, an airstrike killed a 24-year-old Palestinians and wounded one other person, al-Qidra said. That attack and the airstrike targeting the Hamad family home would bring the total number of Palestinians killed since Monday in Gaza to 24. 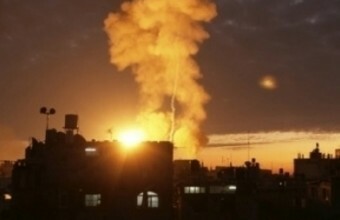 Israeli airstrikes on the northern Gaza Strip killed six Palestinians on Tuesday evening. A child was killed and two others wounded in an airstrike on the Sheikh Radwan neighborhood in Gaza City in the early evening. Suleiman Salman Abu al-Sawaween, 30, was killed and another critically injured in an airstrike on al-Qarara, north of Khan Younis. Ahmad Moussa Habib, 48, and Ahmad Ahed Habib, 19, were killed after an airstrike targeted a tuk-tuk vehicle in the al-Shujaiyeh neighborhood in Gaza City, medics said. Fakhri Saleh Ajjouri was reported killed after an airstrike targeted a motorcycle near Abraj al-Sheikh Zayed in the northern Gaza Strip. Earlier, seven Palestinians were killed and 25 were severely injured in an Israeli airstrike targeting a house in the southern Gaza Strip, a medical official said. An eight-year-old child, Siraj Iyad al-Abdel, later died from injuries sustained in the airstrike. A missile slammed into the house in Khan Younis after people had reportedly formed a human shield to protect it, killing seven people, including two children. Witnesses said an Israeli drone fired a warning flare, prompting relatives and neighbors to gather at the house as a human shield and that, shortly afterwards, an F-16 warplane fired a missile that leveled the building. The house belonged to the al-Kaware family. Abduallah Kaware, Mohammad Ashour, 13, Riyadh Kaware, Mahmoud Judeh, Bakir Mahmoud Judeh, 22, Ammar Mohammad Judeh, 22, and Hussein Mohammad Kaware, 14, were killed. "The Khan Younis massacre ... of children is a horrendous war crime, and all Israelis have now become legitimate targets for the resistance," Hamas spokesman Sami Abu Zuhri said on Facebook. Palestinian medical sources have reported that a father and his child have been killed in new Israeli air airstrikes targeting Gaza City. Sixteen Palestinians killed by Israeli missiles Tuesday. The sources said that a father and his child were killed when the army fired missiles into a residential area in the Shejaeyya neighborhood, east of Gaza City. At least four Palestinians have been injured. The remains of the father, Mohammad Habib, and his child, Mousa, were moved to the Shifa medical center. Four wounded Palestinians have also been moved to the same hospital. The army fired dozens of missiles into various communities in different parts of the Gaza Strip, especially in Tal al-Hawa and at-Tuffah in Gaza. The missile struck civilian homes and structures, in addition to government facilities. 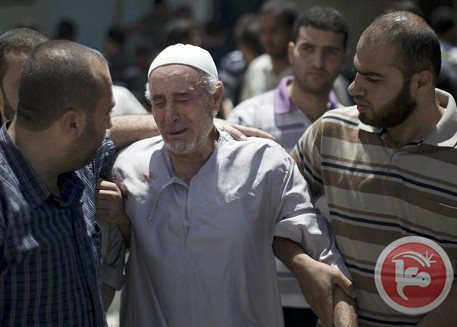 The father of a killed Hamas fighter arrives at the morgue of the al-Aqsa hospital in Deir al-Balah, in the central Gaza strip, on July 8, 2014. Israeli airstrikes on the northern Gaza Strip killed three Palestinians on Tuesday evening, bringing the total death toll in Israel's latest assault on the besieged enclave to 14. Ashraf al-Qidra told Ma'an seven Palestinians, among them two children under five years of age, were killed in the airstrike on Khan Younis. Dozens of locals had gathered on the roof of the house after the family received a notice from Israeli authorities that it would be targeted, al-Qidra said. An Israeli airstrike on a vehicle in Gaza City killed three Palestinians earlier Tuesday. Prior to the deaths in Gaza City, the body of Rashad Yassin, from al-Nuseirat refugee camp, was found under the rubble of a destroyed house in central Gaza. Yassin is reportedly affiliated with Hamas' al-Qassam Brigades. At least 100 Palestinians have been injured since late Monday in military action dubbed Operation Protective Edge, with Palestinian security sources putting the number of airstrikes at more than 70. Since midnight, militants in Gaza have fired more than 100 rockets, an Israeli army spokeswoman told AFP, saying only around 33 of them had hit Israeli territory. Seven Palestinians were killed and 25 were severely injured in an Israeli airstrike targeting a house in the southern Gaza Strip, bringing the death toll from Tuesday's airstrikes to 11, a health ministry spokesman said. Ashraf al-Qidra told Ma'an seven Palestinians, among them two children under five years of age, were killed in an airstrike on Khan Younis. 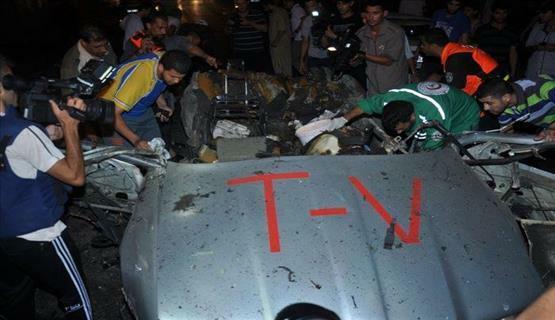 Earlier, an Israeli airstrike on a vehicle in Gaza City killed three Palestinians. At least 75 Palestinians have been injured since late Monday in military action dubbed Operation Protective Edge, with Palestinian security sources putting the number of airstrikes at more than 70. "Around 50 targets were hit, among them four houses belonging to militants, rocket launching sites and other terrorist infrastructure," an Israeli army spokesman said. Israel's army said 81 rockets had struck southern Israel on Monday, around a third of them during a short period in the evening. An Israeli airstrike on a vehicle in Gaza City killed four Palestinians on Tuesday, bringing the total death toll in Israel's latest assault on the besieged enclave to five, medics said. "Four people were killed in a Zionist strike on a civilian car in the Daraj neighbourhood in the centre of Gaza City," emergency services spokesman Ashraf al-Qidra told AFP. Israeli warplanes launched airstrikes on Gaza Tuesday, injuring at least 30, after hitting over 50 sites in the Strip overnight, an official said. At least 30 Palestinians were injured in the series of airstrikes and the body of Rashad Yassin, from al-Nuseirat refugee camp, was found under the rubble of a destroyed house. Ashraf al-Qidra, Gaza's health ministry spokesman, earlier told Ma'an that two people had been killed in the central Gaza Strip and rescue teams were searching for their bodies. Another man was injured when an Israeli missile struck a mosque in Khan Younis, witnesses said. 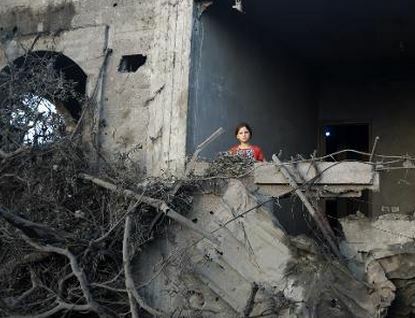 A house was destroyed by an airstrike on Beit Lahiya, al-Qidra said, while airstrikes hit three areas in Gaza City -- the al-Zaytouna neighborhood, the al-Shajaiya neighborhood, and an area near an Islamic center in the al-Sabra neighborhood. Eight people were injured in the strike on al-Shajaiya and four men and one woman were hospitalized after being injured in the airstrike on al-Sabra. Warplanes also targeted Beit Lahiya in northern Gaza, with no injuries immediately reported. Airstrikes also hit the southern Gaza Strip, targeting a home belonging to resident Mahmoud al-Hashash, without causing injuries. Sirens sounded in 10 towns, including as far away as Beit Shemesh, 80 kilometers from the Gaza Strip, an army statement said. Around 16 rockets struck around the southern city of Beersheba, 40 kilometers from Gaza and home to 200,000 people. The Brigades said in a statement that it had targeted Beersheba, Ashkelon, and Netivot. "It is our right to defend our people who are going through this battle alone without Arab or Islamic support," an Islamic Jihad spokesman told Ma'an. "We are in the middle of the battle supporting our people ... and we are committed to protecting them," the spokesman said.